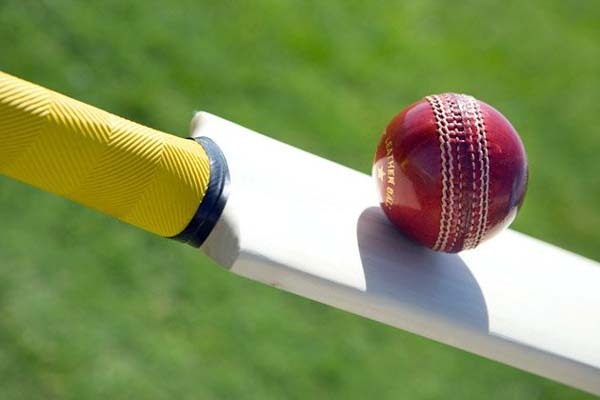 LAHORE,Apr 16 (APP)-:Opener Muhammad Salman Khan played captains knock of quick fired 57 to set up Golden Eagles seven wickets thumping victory over Sargodha Seniors in the quarter finals of to the National Seniors Cricket Cup here on Monday at Ali Ghar Cricket Ground. Put into bat,the visiting team was dismissed at 142 in 25.5 overs.Their main scorers were Muhammad Nawaz 34, Salman Shahid 28, Nouman Nasir 26, Kashif Iqbal 20 and Arshad Naveed 13. From Golden Eagles Muhammad Rehan got 3 wickets for 27, Rauf Wain 2 for 17, Zaheer 2 for 27 and Dr Afzal 1 for 40. Golden Eagles answered with 143 for 3 in 18.2 overs thanks to a fire works knock by man of the match,Salman who entertained with hard hitting by smashing lively boundaries to all parts of the ground.He hit one towering six and nine fours to thrash opponents bowlers with authority and precision. Saleem Elahi 39 and Shahid Anwar 35 were the other main scorers from the winners. From Sargodha Tauseef Abbas claimed 2 wickets for 24 and Ejaz Mehmood bagged 1/25. After the match Chief Guest CEO Golden Banaspati,Mian Tasaddaq Rasool gave away man of the match award to Salman Khan. Rana Sohail Manzoor and Tariq Suleman were the umpires and Sajjad Ahmad acted as scorer.